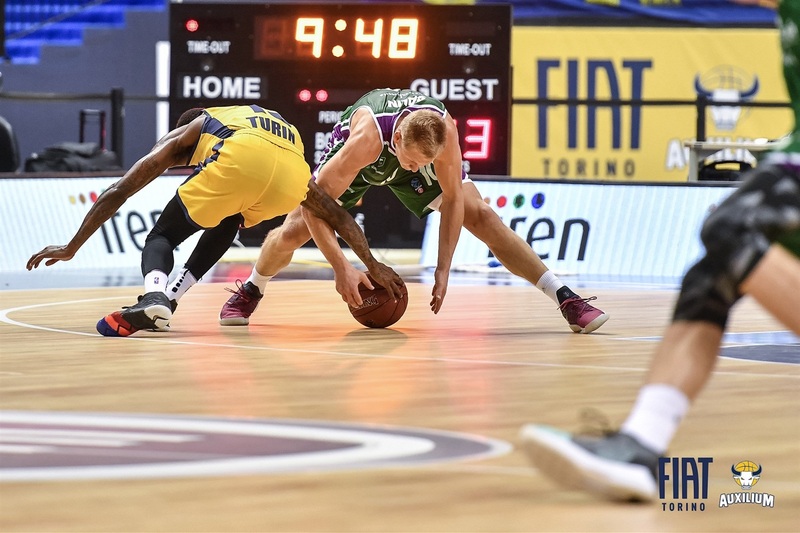 Unicaja Malaga outlasted Fiat Turin 104-105 in a game that came down to the final shot. Fiat rallied from 19 down to lead on a Jamil Wilson jumper, but Jaime Fernandez sank the game-winner for Unicaja with 5 seconds remaining. 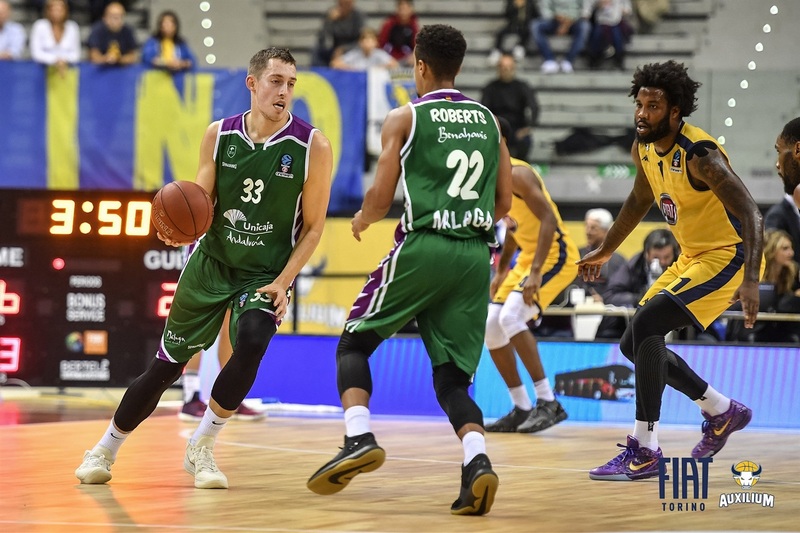 The result lifted Unicaja to 4-1, while Fiat remained winless through five games. Fernandez led six Unicaja scorers in double figures with 19 points and 5 assists and Kyle Wiltjer added 17 for the winners. Wilson finished with 22 to lead Fiat and Victor Rudd netted 19. 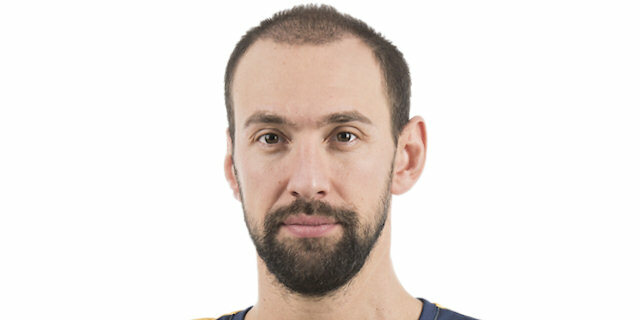 The teams traded scores in the opening minutes with Wiltjer shining for Unicaja with a trio of three-pointers. 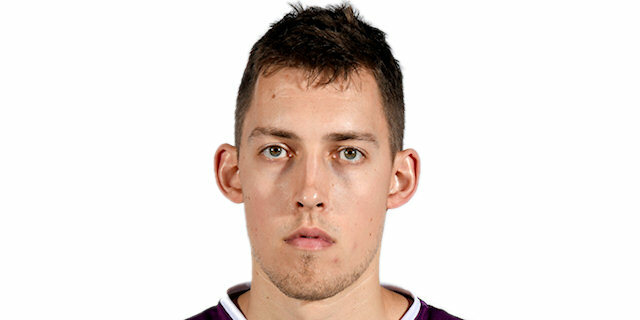 Wiltjer remained hot inside to put Unicaja up 13-21. Tony Carr came off the bench and scored 5 quick points for Fiat, which closed the gap to 24-26 before Unicaja reeled off 7 straight points to lead 24-33 after 10 minutes. Fernandez's triple to start the second quarter gave Unicaja its first double-digit lead and Giorgi Shermadini produced a pair of three-point plays as the margin swelled to 14. Threes were pouring in from both sides, but the lead kept growing with Dani Diez's layup making it 40-59. Carr beat the buzzer from downtown to make it 48-62 at the break. 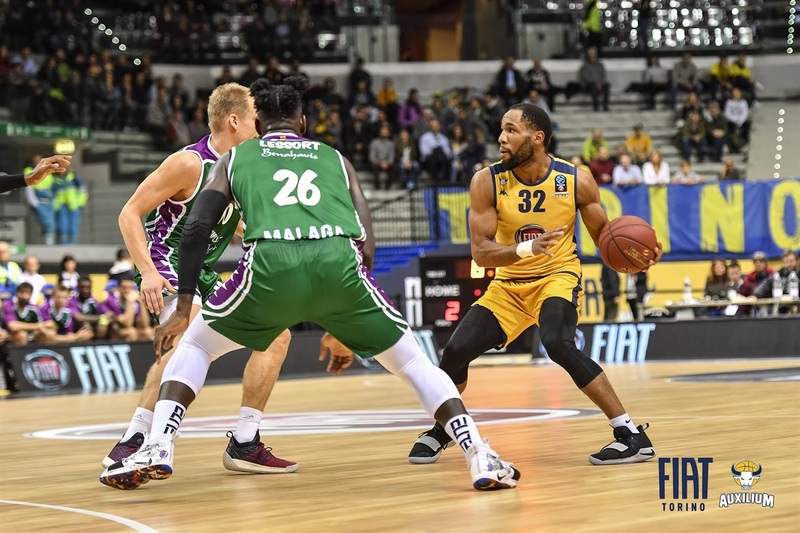 A Tekele Cotton three drew Fiat within 9 early in the fourth quarter, however, Unicaja reeled off the next 7 points to regain control. 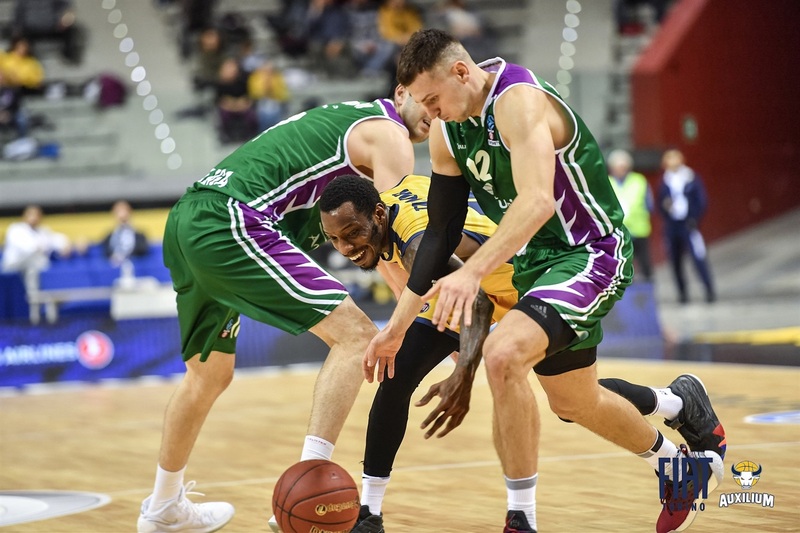 McAdoo scored twice in a 10-0 Fiat run late in the quarter to make it 71-79, but back-to-back threes by Sasu Salin and Adam Waczynski ensured Unicaja control. Carr beat the buzzer to make it 75-88 after three quarters. There was no quit in Fiat, which fell back by 17 before Giuseppe Poeta and Rudd led a 12-0 run to get within 87-92. Unicaja called timeout, but Poeta added a triple and a floater before Rudd sank a three from the corner to put Fiat in front 95-94. A Diez three got Unicaja into triple digits first, 98-101. Wilson hit a jumper for a 104-103 edge late, but after a timeout, Fernandez scored the game-winner and Carr's desperation heave at the buzzer was off. 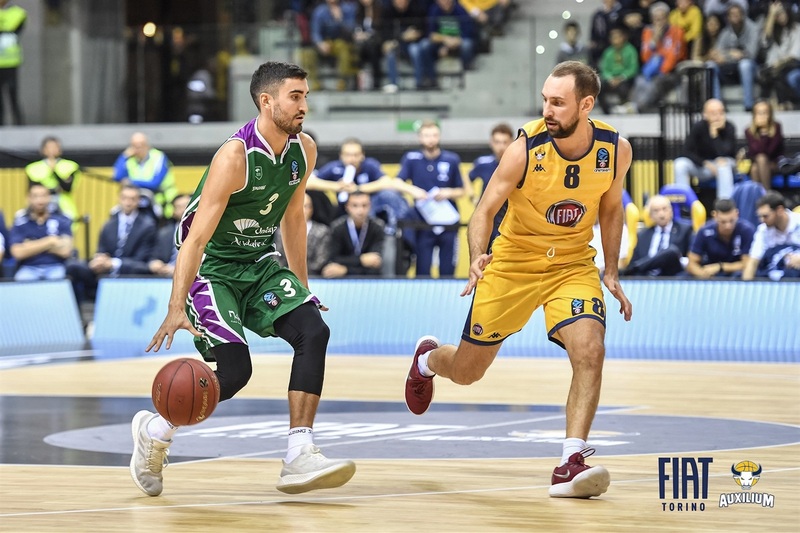 Fernandez starred with 19 points and 5 assists in 21 minutes and Dani Diez poured in 14 points on 4-of-7 three-point shooting in 15 minutes for Unicaja. 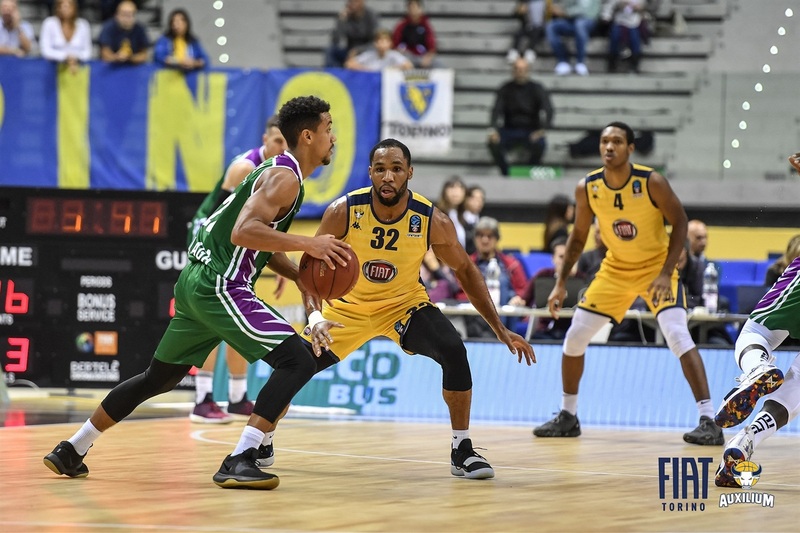 Fiat sixth man Tony Carr tallied 18 points, 4 assists and 3 steals and Giuseppe Poeta led the fourth-quarter comeback and finished with 8 points, 4 assists and 3 steals. Unicaja rewrote the club's record book for EuroCup games with 105 points, 72.7% two-point shooting, 24 assists and 16 three-pointers. Its previous record for scoring was a 96-point effort two weeks ago against Mornar Bar. The week before that Uncaja made 70% of its two-pointers. 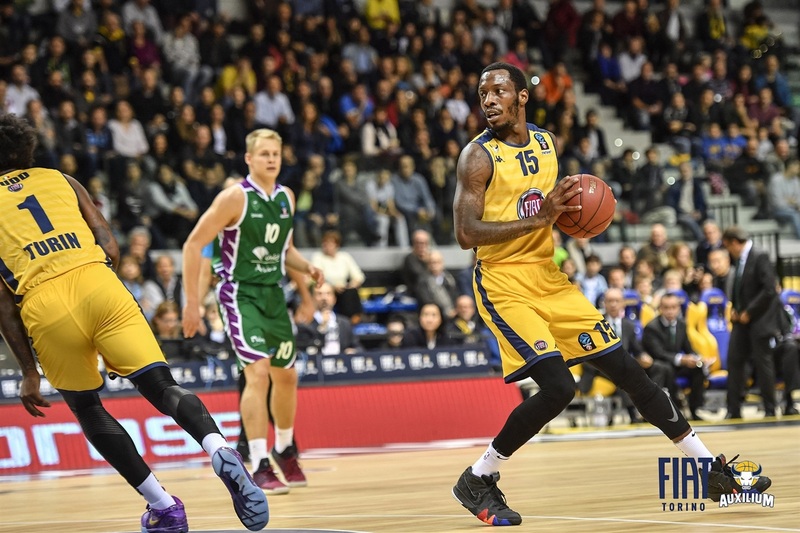 The team had dished out 22 assists on three occasions, including once this season against Fraport Skyliners Frankfurt. And Unicaja players combined to make 15 threes twice during the 2016-17 campaign. Ultimately, Fiat's fourth-quarter charge did not change the outcome of the game, but it sure turned a blowout into a nail-biter and gave the hosts a real shot at the victory. 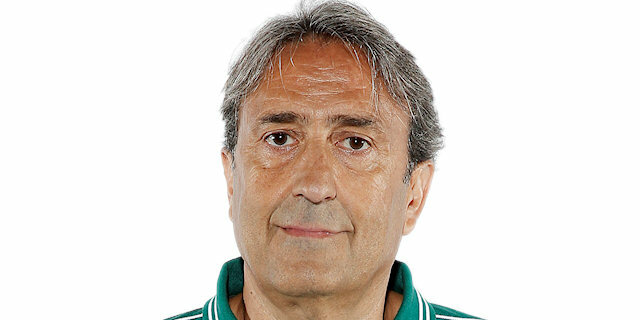 After Giorgi Shermadini gave Unicaja a 75-92 lead, no one saw what was coming next. Poeta scored, collected a steal and led a fast break where he fed trailer Victor Rudd for a monster slam. It would become a 20-2 surge in which Poeta and Rudd each scored 8 points and set the stage for an exciting finish. 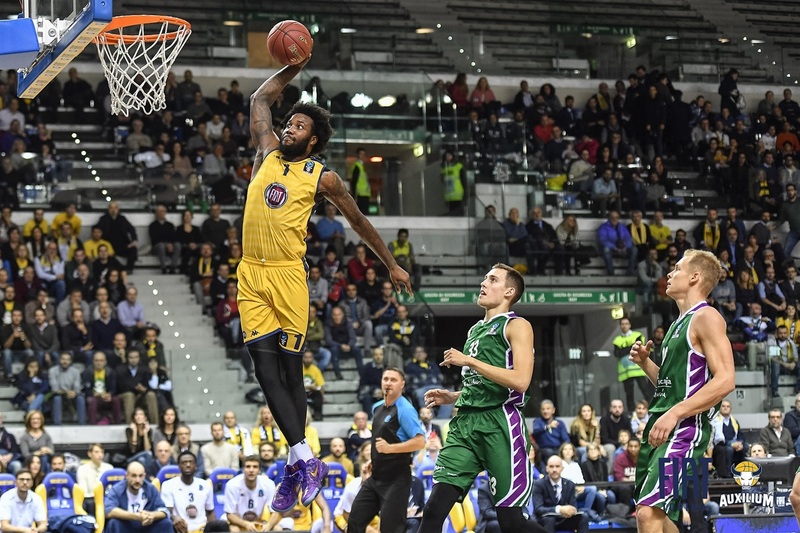 Fiat will try to get its first win next week when it hosts Skyliners on Tuesday. The next night, Unicaja will try to keep its winning streak alive when Rytas Vilnius comes to town. "What's most important is that in the second half we played against different defense. 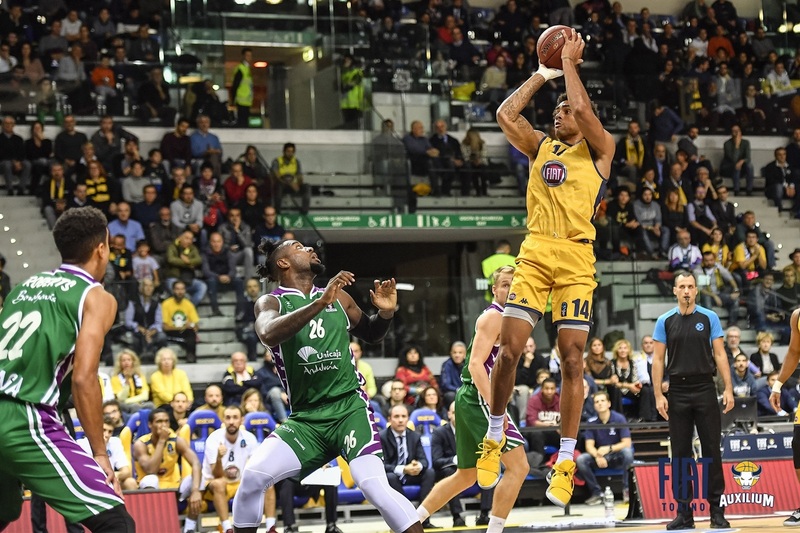 In the first half we played against conservative defense, in the second half Fiat Turin changed defense , played aggressive defense against the pick-and-roll and it was different. In the last seconds, we were lucky and won the game." "It's a brand new team and therefore it's normal to have these kinds of ups and downs. We have to keep working together in the gym and fortunately, after two weeks on the road, now we have time to practice at home and focus on our next games." "We shouldn't have let them come back like that, but our team just stayed strong. Shout out to my man Jaime Fernandez with the big shot at the end. We stayed composed and that's what it's all about, winning tough games together."